Sam Steele, "the man who tamed the Gold Rush," had a glittering, high-profile public career, yet his private life has been closely protected. 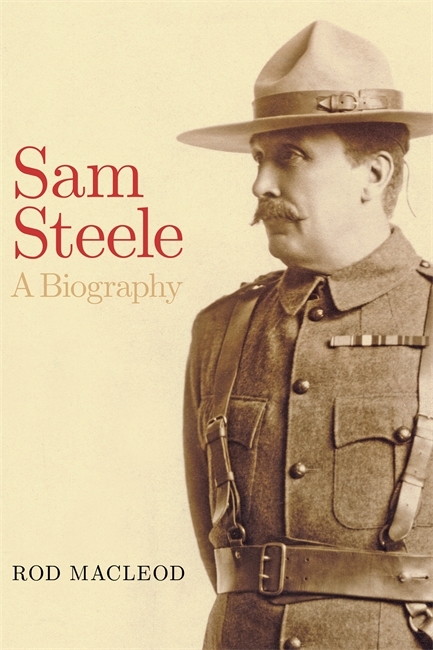 Sam Steele: A Biography follows Steele’s rise from farm boy in backwoods Ontario to the much-lauded Major General Sir Samuel Benfield Steele. Drawing on the vast Steele archive at the University of Alberta, this comprehensive biography vividly recounts some of the most significant events of the first fifty years of Canadian Confederation—including the founding of the North-West Mounted Police, the opening of the North through the Klondike, and Canada’s participation in the South African War—from the perspective of a military leader. Impeccably researched and accessibly written, Sam Steele is perfect for anyone interested in Canada’s early decades.